Don’t Miss Out on Free Real Estate. Use Square Facebook Video! 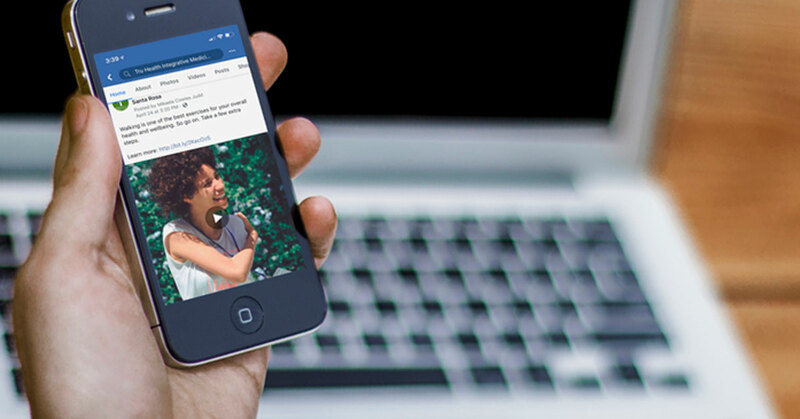 If Facebook video is king, square Facebook video is Zeus. It rules. Square Facebook video takes up 78% more real estate in mobile newsfeeds than landscape video, according to Animoto. Square Facebook video is statistically proven to get more engagement, longer watch times, and higher click-through rates on mobile devices. And, it cost 7.5% less to get fans to engage, according to MOZ. Shockingly, a large number of businesses aren’t using square Facebook video (or any video for that matter). 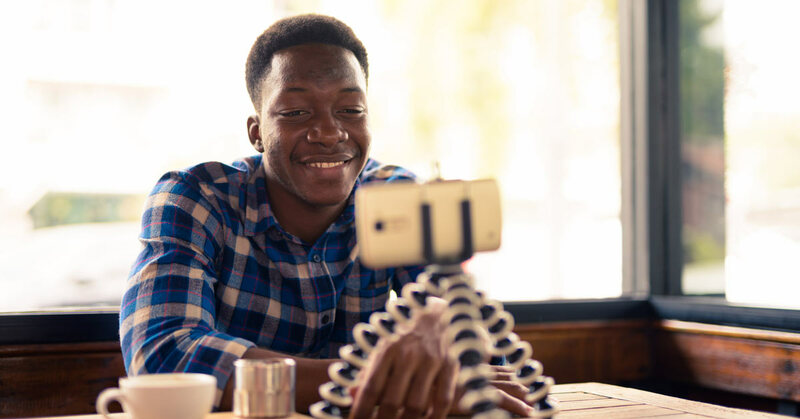 According to Buffer, both small and large businesses report the same main barriers in creating Facebook video content: lack of time and lack of budget. Want people to pay attention to your message? Share it in a video. A significnatly larger percentage of Facebook users watch video compared to viewing any other type of content. As of March 2018, Facebook had an average of 1.45 billion daily active users. No matter how you slice it, that’s a lot of potential customers. A staggering number of these people are using mobile devices. According to the Statistical Portal, 95.1% of users access Facebook with a smartphone. The content mobile users want the most is video. Upon evaluating 880 million Facebook post in 2017, Buzzsumo found video posts have not only the highest average engagement rate, but twice the level of engagement of any other type of content shared. What’s surprising, is how many businesses aren’t using video. According to Buffer, 95% of the content shared by business is image posts. This gives you an even greater advantage if you can incorporate video into your content calendar. With substantially more screen real estate, square Facebook video can give your business a substantial advantage. If you could get 78% more real estate for a fraction of the cost, would you do it? It’d be silly not to. 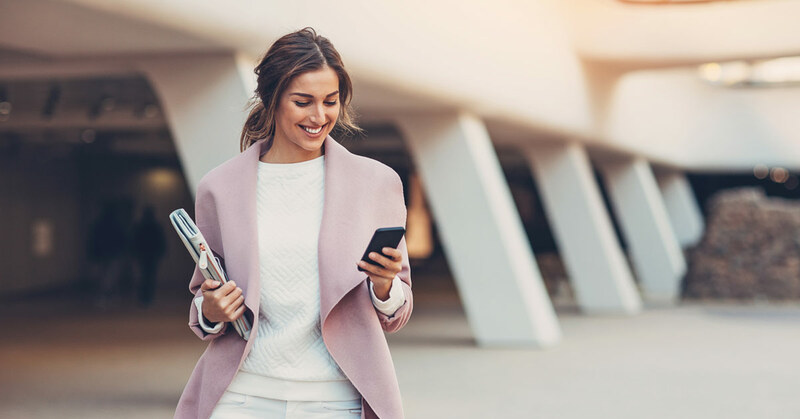 Not only does square Facebook video give you that 78% real estate advantage, it’s been shown to have higher engagement rates and lower costs per conversions. This isn’t just speculation. Buffer spent $1.5K in experiments, specifically comparing square and landscape video. They found the average view per post more than doubled with square video on mobile. And, mobile square video had a cost per engagement of 7.5% less. What do these numbers mean when you aren’t spending thousands to advertise? To find out, we ran our own internal tests using smaller budgets across four campaigns. (Each campaign was $50 or less.) We purposely did this to replicate what a small to medium business would reasonably spend on a marketing ad. The results were limited in scale (by design), but were still strongly in favor of square video nonetheless. Keep in Mind: Landscape video is better than no video at all. And in the case of desktop viewers, some studies show landscape video actually performs better than square. Furthermore, you need think about what will give the best value to your audience. If a square crop cuts off a necessary part of the video clip, landscape may be best. Video can be intimidating, especially when you’re the one getting in front of the camera. What do you wear? What can you use for a background? Who will hold the camera? How do you create a professional looking video without all kinds of expensive gear? Where you find the time to record said video? Do you have the budget for video? These questions and more can cause even the savviest business professional to shy away from video. Here’s the good news: Facebook video doesn’t have to be perfect to be effective. In fact, many of the super effective Facebook videos are a far cry from a professionally recorded and edited clip. The best content is the content that humanizes your brand, delivers valuable information to your audience, and gets your fans to engage. The following tips will help you successfully DIY your own Facebook video quickly and easily. Simply making sure your video is still can substantially improve the quality. In the land of video, stability is essential. As steady as you may be, your hand is no match for a tripod. Amazon has a selection of relatively inexpensive smartphone tripods. This one by UBeesize works well. While a bit more money, we also really like this GripTight ONE Micro Stand for its compact size. This makes it easy to take it on the go. Finally, if plan to take video while moving (and are up for a splurge), DJI’s Osmo Mobile is absolutely fabulous. This stabilizer allows you and your camera to move, while keeping your picture steady. While many Facebook fans watch video with the sound off, having sound is still important. For those who turn the sound on, it can make a substantial difference. Buffer recommends a Lavalier Microphone. These can easily be plugged into your phone. This is a really low-cost solution for getting high quality sound. Insider Tip: Feeling like the sound is a little muffled? Sometimes the Lavalier microphone doesn’t fit perfectly. KV Connections makes an adapter that will typically solve this problem. Don’t want to be hassled by cords? The Samson XPD1 Lavalier USB Digital Wireless System is a bit more money, but it allows you to place a wireless microphone on one individual while recording. Good lighting is another key to good video. If people simply see a shadow of a head, they’re not going to watch. The simplest solution is to use natural light. If you don’t have that option, a lamp can also work. The key is to always position yourself so you’re looking directly into the light source. This allows it to spread evenly across your face and the ‘set’. If you’re interested in making a small investment in light, this LED light kit is a good place to start. While a more substantial spend, you may also want to consider this Drascast kit. With three battery-powered lights, it offers a substantial amount of flexibility, allowing you to quickly turn any space into an adequately lit studio. Next Week: What makes good Facebook video content? The tools are great, especially if you are going to be shooting your own video. But, shooting video isn’t your only option. Next week we’re going to explore what makes good Facebook video content - including topic suggestions and creation ideas. Have questions right now about Facebook video? Give us a shout. Tired of feeling like Facebook stats are just numbers that don’t mean anything? Discover which Facebook stats to pay attention to and why, because the right analytics can help you make strategic business and marketing decisions.